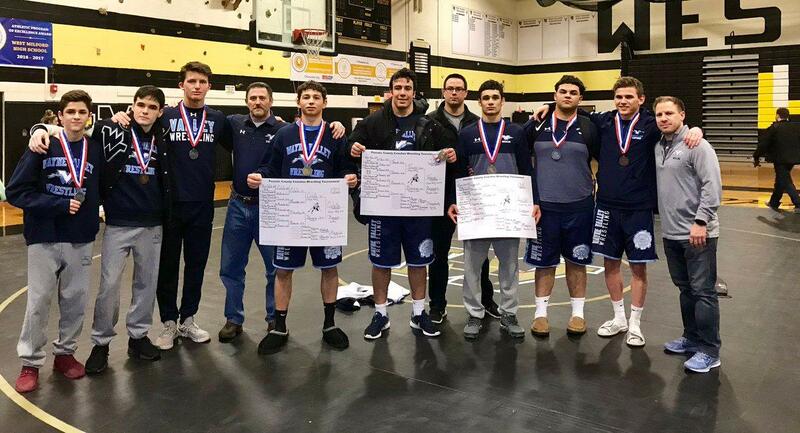 Wayne Valley and Passaic Tech wrestling have a good county tournament, will now look to win state sectional championships | Mike Lamberti, From Margate To Cleveland, And Back ! With the second season approaching, both the Wayne Valley and Passaic Tech wrestling teams turned in solid efforts at the Passaic County Tournament, on Jan. 26, at West Milford High. Wayne Valley took second place in the counties while Passaic Tech was right behind, finishing third, in a field of 13 schools. The Indians and Bulldogs also garnered high seeds for the upcoming state sectional championships, as well. PCT is the top seed in North 1, Group 5 and was scheduled to host eighth seeded Morristown, on Feb. 2. A win there would move the team into the semifinals, on Feb. 4, against either West Orange, or North Bergen. The championship round is set for Feb. 6, and if PCT wins out, it would host the final, as well. Wayne Valley was seeded second in North 1, Group 4, and was slated to host Morris Hills, on Feb. 2, in the first round. If the Indians won, it would stay home to host the semifinals, on Feb. 4, versus either Kearny, or Fair Lawn. The sectional finals are on Feb. 6. Roxbury is the top seed in the section and would host the final, assuming it won out. The group championships will be held on Feb. 8, in Toms River, where all the sectional champs from throughout the state, will convene. Valley and PCT had three champions at the Passaic County Tournament. Winning gold for the Bulldogs were Alex Vertedor (106 pounds), Laith Hamdeh (113) and Ryan Khumthanom-Perez (120). Wayne Valley’s county champions were Elijah Lugo (138), Reid Colella (170) and Nick Trani, who remained undefeated by winning the 220 pound championship. DePaul won the team championship for the seventh straight year. After the sections, PCT and Wayne Valley will prepare for the district championships, which are set for Feb. 16. Wayne Valley will wrestle at District 7, which will be hosted by powerful Bergen Catholic. PCT will head to Kittatinny High, in Newton, as part of District 3. The top three wrestlers in each weight class at the districts will advance to the regional championships, on Feb. 20. The regions continue on Feb. 22 and conclude a day later. Passaic Tech will compete in Region 1, at West Milford High, and Wayne Valley, at Region 2, at Mount Olive, in Flanders. The top four wrestlers in each weight class at the regions will earn a trip to Boardwalk Hall, in Atlantic City, for the state championships, from Feb. 28-March 2.